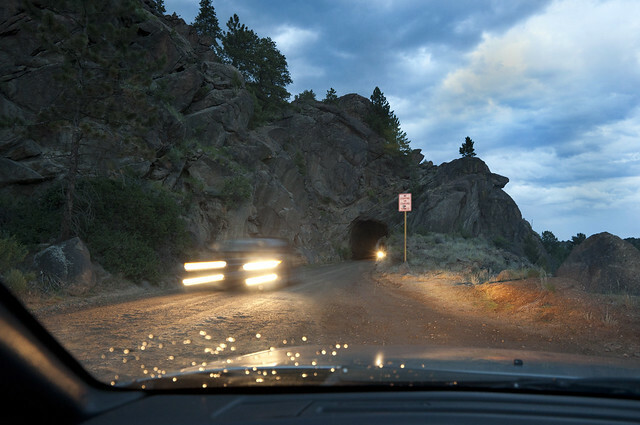 High in the Rocky Mountains of Colorado is a small town clustered around one of the largest zinc mines in America. You see it first coming around a bend on Highway 24, houses and buildings clinging precariously to the side of Battle Mountain. The road to the town is gated, padlocked shut to passersby on the highway. As they get closer, the buildings below start to look different: the windows are shattered, the paint on the outsides peeling, the streets they line overgrown. 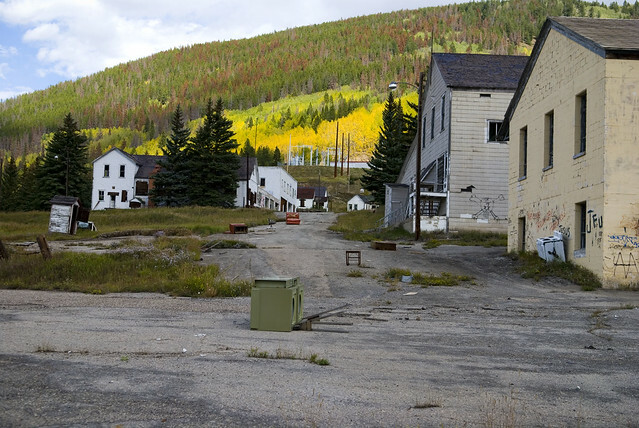 This is the town of Gilman, and it’s been vacant since 1984. 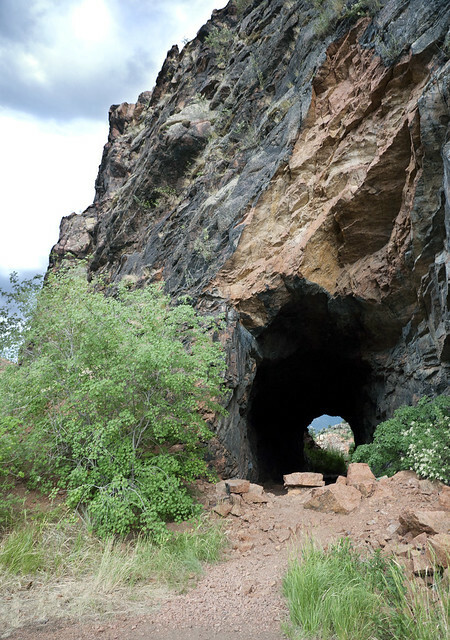 In 1887, a mining speculator from the nearby town of Red Cliff named John Clinton set up a camp around the Iron Mask Mine and several others on the flanks of Battle Mountain. This camp, appropriately called Clinton in its infancy, was soon renamed Gilman after the well-liked superintendent of the Iron Mask, Henry Gilman. 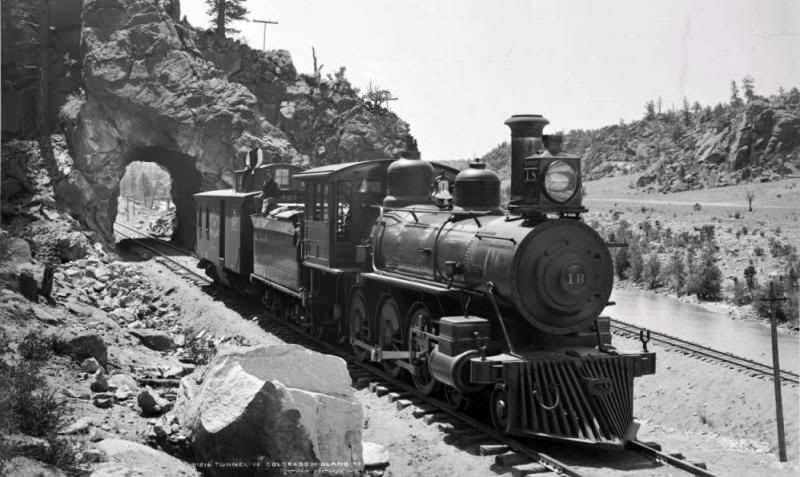 By the turn of the century, the collection of mines at Gilman (including the Ben Butler, the Iron Mask, and five or six other smaller shafts) were sending out gold, silver, and lead ores via the Denver and Rio Grande Western Railway’s famed Tennessee Pass route, which reached up the gorge in 1882. 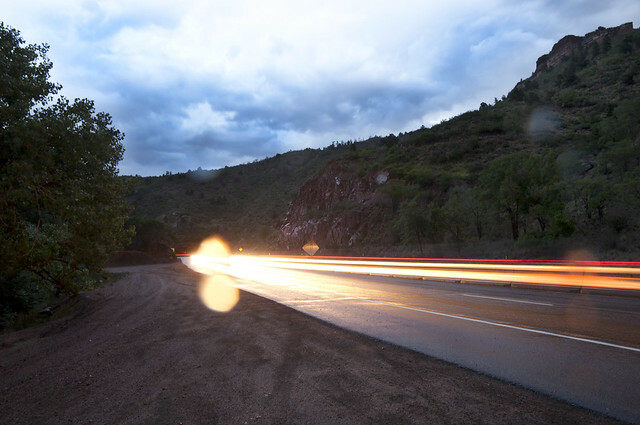 In the years following, the town rebuilt itself, eventually boasting everything a small mountain town could want; a hotel, a small hospital, post office, even a two-lane bowling alley that was the only place for leagues between Leadville and Glenwood Springs. 1912 saw the arrival of the New Jersey Zinc Company and the consolidation of the remaining mines in the area into one: the Eagle. The company’s arrival heralded a new era for the town; it had always been a mining town, its purpose defined in the dirty faces and tired backs of the men who worked there, but now it took on another name: company town. New Jersey Zinc opened up a general store on Main Street, pumped money into a municipal water system, and kept the mine in the black. 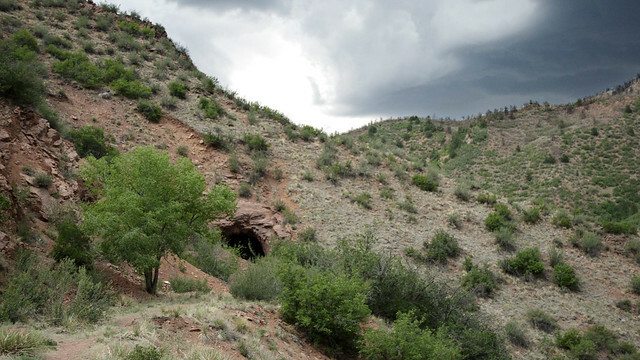 As the miners worked deeper into the gut of Battle Mountain, they found that the sulfite ores they were mining (mostly sphalerite and siderite for geology nerds) contained high enough levels of zinc that the smelters simply refused to buy it. 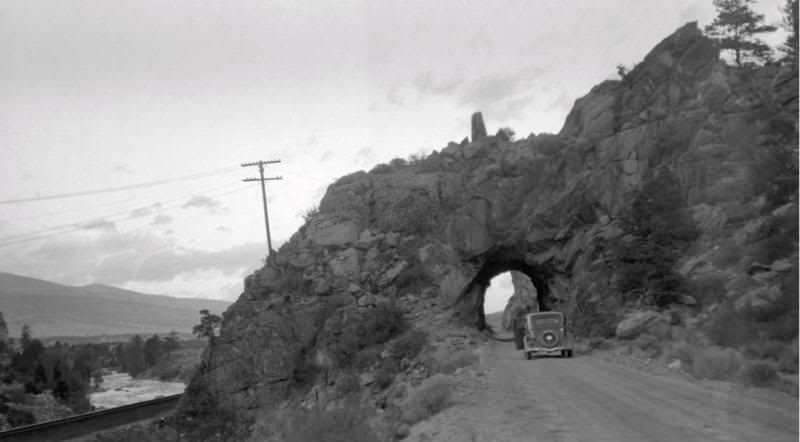 Gradually this problem became an asset after the installment of new equipment to extract the zinc; it was useful for coating steel to make it resistant to corrosion, and aside from a stretch in the 1930s when copper/silver ores briefly became the mainstay again, zinc was king at the Eagle Mine. 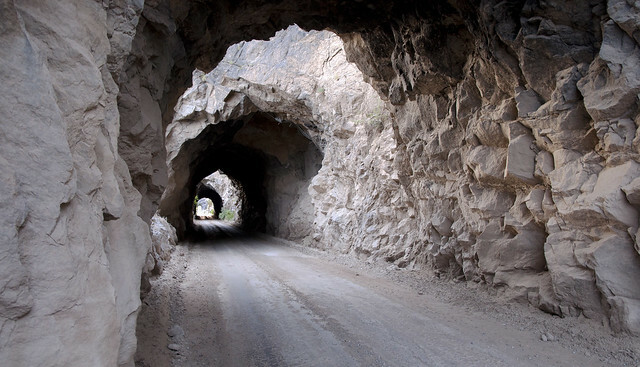 By the end of the 1950s more than 4500 tons of zinc ore were leaving the mine every month. The 1950s saw the beginnings of signs of trouble in Gilman. A strike over pay in 1954 pitted the unionized miners against the non-union surface workers and bosses, and opened wounds across the picket line that would never heal. For two weeks, the Eagle was worked by a skeleton crew of surface workers and hired NJZ scabs from out of state. Eventually, the union came to an agreement to resume work, but even then, the battle lines between the miners and the surface workers remained until the mine finally closed for good. 1957 saw the first closure of the Eagle Mine, as falling zinc prices forced New Jersey Zinc to suspend work at the mine until more favorable economics prevailed. Though the price of zinc once again rose enough to keep Gilman alive, the influx of cheap foreign minerals and the substitution of plastics for many of the roles zinc was used for (ie: cars) caused the New Jersey Zinc Company to shut down the Eagle mine for good in 1978. The company gave the 154 workers still living in Gilman only two weeks to pack up and wait for word on new assignments. Some found new mines, some headed for the burgeoning ski industry in the Vail Valley. 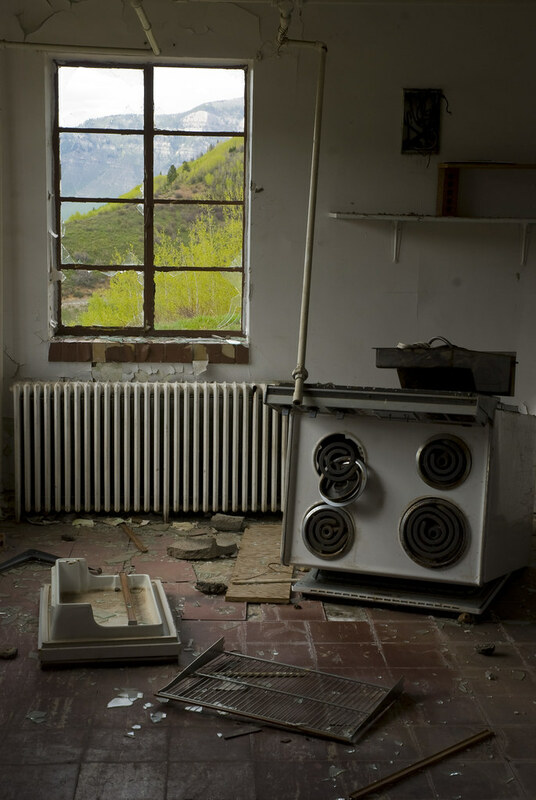 A Rocky Mountain News two-part feature on the closing interviewed two miners who found work as janitors at Minturn Middle School. Others simply packed up and left, heading off to try to find themselves and their families a new life after spending years underground. State assistance grants were debated, but little help beyond unemployment checks ever found the miners and their families. A skeleton crew clung on for another seven years, maintaining the complex workings within the mountain and doing exploratory drilling in case the mine were ever reopened. It wasn’t. The end finally came in the early 1980s. 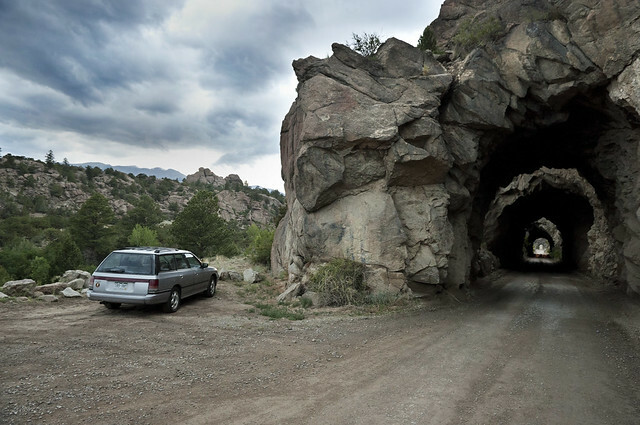 The owner at the time, Cañon City businessman Glenn Miller, had been trying to find enough money to keep the mine open, but his backers fell through. Eviction notices began going out to the remaining residents in 1981, whittling down the remaining workforce in Gilman to only six men in the final days of the mine. In June of 1984, the US Environmental Protection Agency took over the mine’s electric bill – which totaled almost $60000 in back services – until the final three electrical transformers in the mine (which contained extremely toxic PCBs – polychlorinated biphenyls) could be removed and made inert. 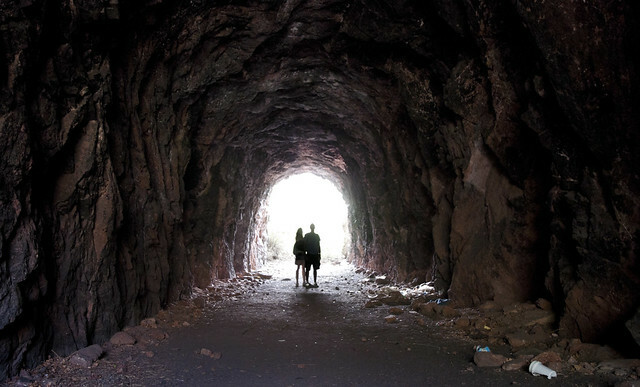 After they were pulled, the final miners simply turned off the lights and walked out. 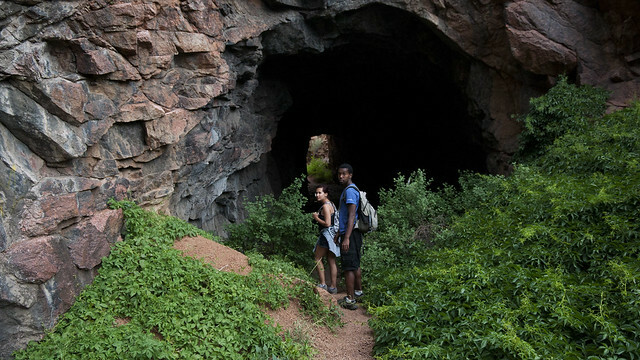 The Eagle Mine, once the largest producer of zinc in the country, was now silent. Gilman was gated off, the last residents evicted soon after. Today, the town still holds clues as to the people that once called it home. 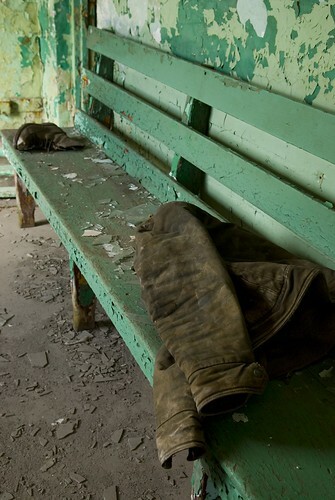 The decaying company offices on Main Street are strewn with papers left behind when the mine closed; inventory sheets, order forms, time sheets, even employee records. These records help tell the story of the miners who worked the Eagle. 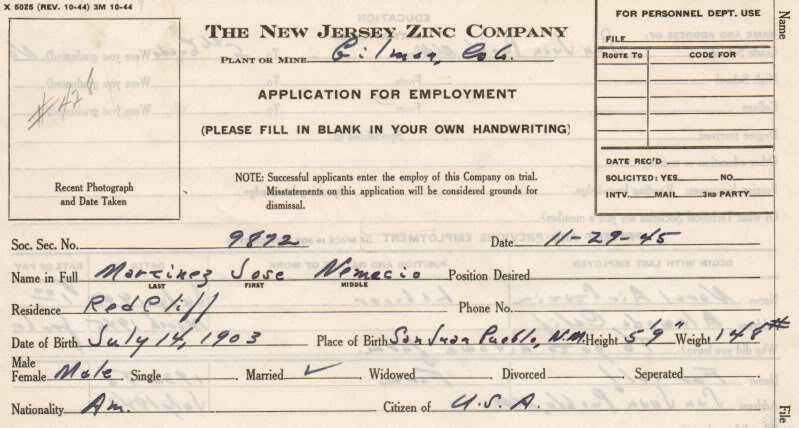 Take, for instance, Jose Nemicio Martinez, who applied to work for New Jersey Zinc on 29 November 1945 at the age of 42. Mr. Martinez was an American, born in San Juan Pueblo, a small town in northern New Mexico. 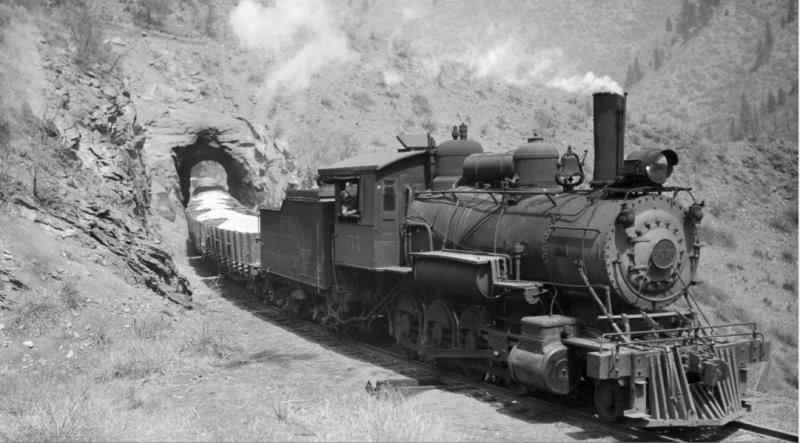 In fact, many of the miners at Gilman came from New Mexico; the company’s log books are full of names like Sena, Lopez, and Chacon; places like Rancho de Taos and Truchas. Martinez had worked on his family’s farm in San Juan Pueblo until the start of World War II, when he entered the service of the US government as a worker at Alameda Naval Air Station in California. After the war, he came to the rugged mountains of Colorado to find work. He was a shoveler at the Eagle, making $.89 a day to heave ore from mountain to cart, or cart to mill, or wherever else it needed to go. 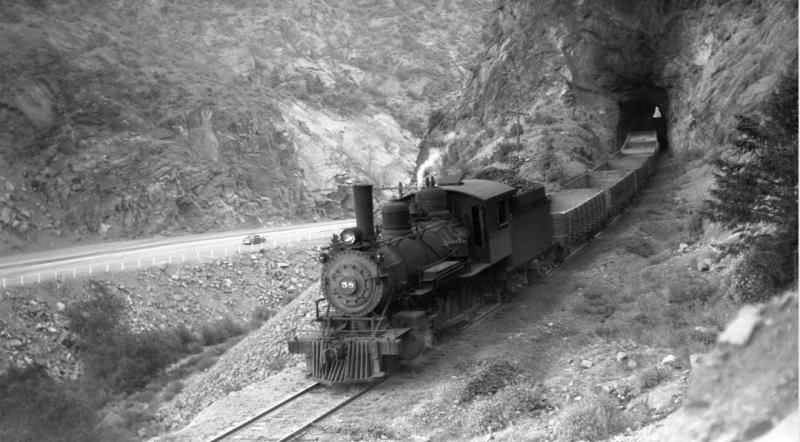 Martinez lived as many miners did in nearby Red Cliff, making the trip up the road to the mine every day. He had a wife, Esequela, and two children; Pedro and Rosalie, all of whom continued to live in San Juan Pueblo. 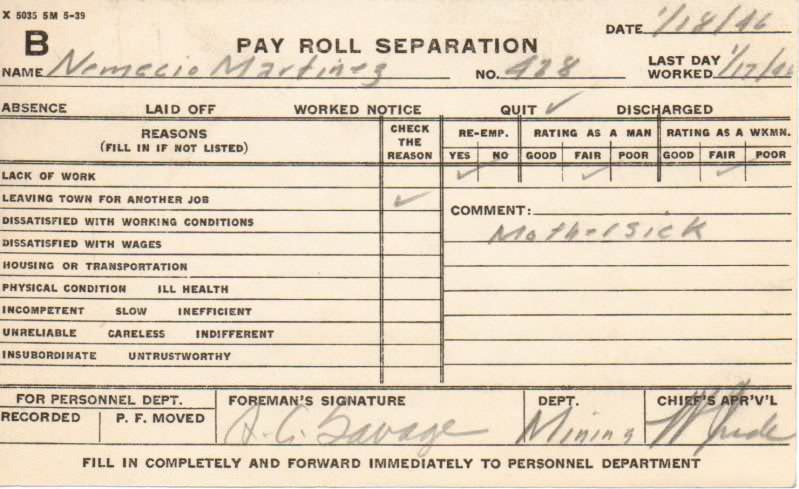 It’s easy to imagine Martinez sending what he could of his wages back home to his family from Colorado until his brief time in the mines was cut short. Martinez’ pink slip lists ‘Mother sick’ as his reason for leaving – records indicate he returned to San Juan Pueblo at the beginning of 1946. The town is officially off-limits today, owned by a real estate investment group from Canada who are waiting for the economy to become more favorable for Gilman’s redevelopment. Its fate has become a local political issue. Long story short: the previous owner, a developer by the name of Bobby Ginn, purchased the site with the intent of building a private, exclusive, VIP ski resort and getaway. This was to be no Crested Butte or even Aspen; lift tickets here would start in the six-figure range and come complete with your own luxury condo, private transport, perhaps even an on-call helicopter to whisk your incredibly wealthy self to the tops of the nearby peaks for fresh powder. A championship-grade golf course would sprawl out on the valley floor, and at the center of the resort, an opulent hotel and residences complex that some have likened (in blueprints) to an Austrian castle. 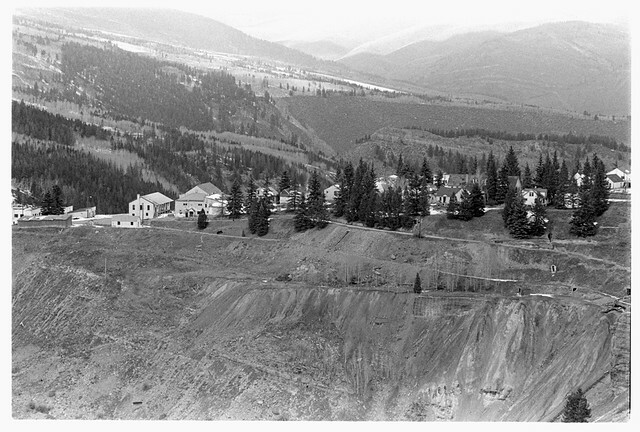 In order to develop the site (due to zoning laws), he coaxed the nearby town of Minturn into annexing Gilman – by offering the small town what amounted to $180m (144 times Minturn’s annual budget) in assorted benefits: $50 season passes to his hypothetical luxury haven, new sidewalks, a new water treatment plant, scholarships for local kids, et cetera. Minturn agreed; after all, if they had refused Ginn’s offer, he could have simply gone up the road to Red Cliff and offered them the deal, leaving Minturn out in the cold. As all of this was coming together, however, the economy tanked and suddenly the market for incredibly expensive ski retreats dried up. Ginn’s venture went into receivership, after which the current owners purchased the property. There were other problems too; the town’s soil still needed remediation, the sheer size of the site meant that demolition would be a pricey endeavour, and unfortunately for prospective developers, the town sits on a mountain that has so many tunnels and shafts in it that it more closely resembles an anthill than a ski resort. 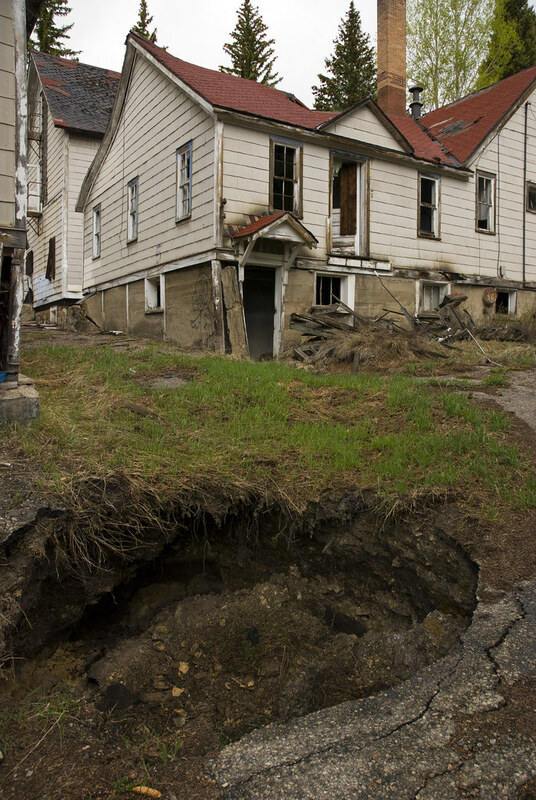 Heavy equipment would be dangerous to operate, with sinkholes already appearing in the town due to subsidence. 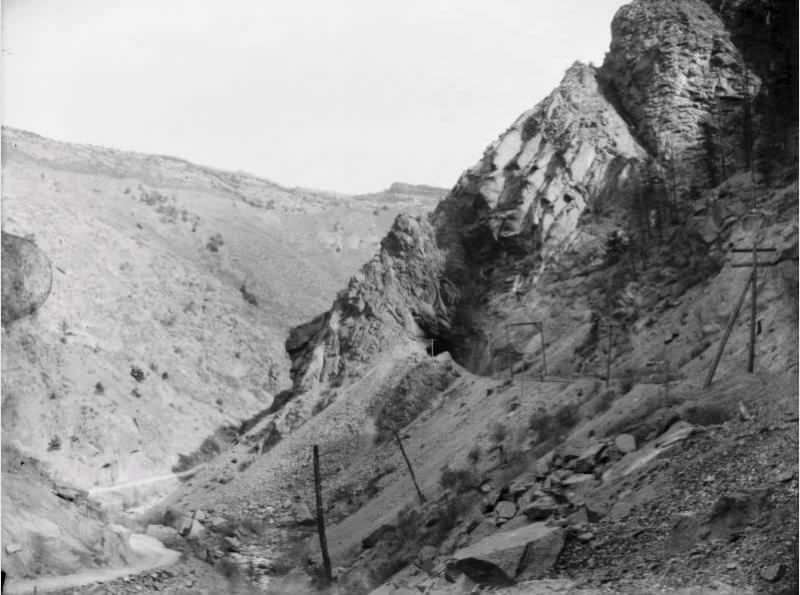 Regardless of the eventual fate of Gilman, it remains an important part of Colorado history as one of the largest mining operations ever undertaken in the state. Its ores found their way to smelters and refiners all over the country – including the now-abandoned Globe smelter which gave Denver’s Globeville neighbourhood its name. For us, it is a place to respect, to explore, to document. Though the town is officially a no-man’s-land, as is so often the case in exploring the off-limits, where there’s a will, there’s a way. Stay tuned for part two.